Continue on to see the announcement trailer and to learn about the female player types users can choose upon creation. Now, let’s dive into the new ICON Progression System. Again, female players will have the same access to the entire progression system just like male players do, so, whether you prefer to play like a Guard, Wing, or Big PlayerType, it’s entirely up to you. Within each Player Type are the unique Playstyles you can choose to specialize as and customize. 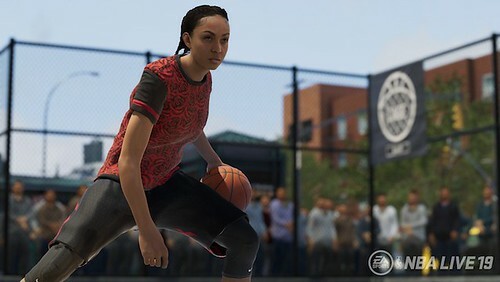 Each Playstyle will have unique ICON ability paths inspired by some of basketball’s best players, including WNBA superstars like Candace Parker. These ICON abilities give you the power to level up your game in a way that suits you. Key decision points, as you level up your ICON ability from bronze to gold, will give players more variation than ever before. You’ll also unlock unique rewards like signature shoes and throwback jerseys based on the ICON Player. Let’s break this down in more detail. Guards are broken up as Backcourt Shooters, Slashers, Backcourt Defenders, and Floor Generals. Each ICON ability, for their Playstyles, will embody the specific tendencies and varying skill sets that can be found within the over-arching type. In any case, guards fit within the five-foot-eight to six-foot-five height range. That being said, two of our NBA LIVE squad members, Allen Iverson and Candace Parker, fit under the slasher category and are two of the three ICON Players you can choose to start building your player progression foundation from. 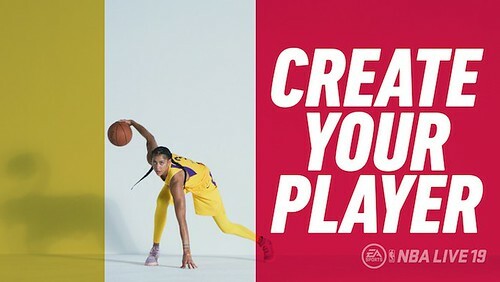 While AI, aka “The Answer,” is more of a one-on-one player, Candace, aka “The Spark,” is a bit more drive-and-pass guard. With The Spark ICON ability equipped, when you finish at the rim, you are granted a boost to blow by defenders, and one to your mid-range shooting. Next are Wing Player Types. Wing Shooters, Wing Scorers, Wing Defenders, and Playmakers make up this group of Playstyles. As the case with the guards, there are different ICON Players to select within each Playstyle, and they come with another player’s foundation as a skill set. If you choose the Wing Shooter Playstyle, look out for the “Triple Threat” ICON ability inspired by WNBA star Elena Delle Donne. This ability gives you a boost to Mid-Range Shooting and Finishing anytime you hit a three, block a shot, or grab a rebound. The wing players can range from six-foot-four to six-foot-ten. The final category, Bigs, are split between three Playstyles: Stretch Big, Rim Protector, and Post Anchor. Bigs can range from six-foot-eight to seven-foot-two and feature ICON Players like the NBA LIVE 19 cover athlete Joel Embiid. “The Process” ICON ability boosts your Mid-Range and Three-Point Shooting anytime you score inside. As you progress through any of these Playstyles, you’ll even have the chance to add an ICON Skill to compliment your Playstyle based on which ICON ability you have equipped. Swap your ICON and ICON skill to change up your strategy for any challenge. 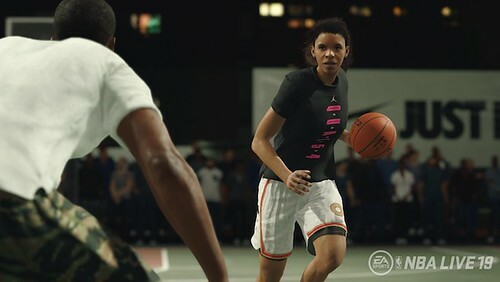 The new ICON Progression system will create more choice, customization options, and rewards to give you the ultimate freedom to create a female or male baller that represents you in NBA LIVE 19.